Discovered this lovely cake in the Flickr London Underground group. It's retirement cake made by Emma White from SheLovesCake. 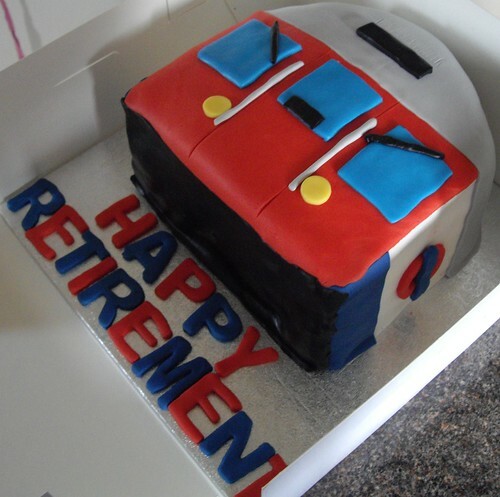 Emma said "This cake was actually made as a freebie for my Dad, Keith, who had worked for London Underground for over 40 years and who has recently retired. 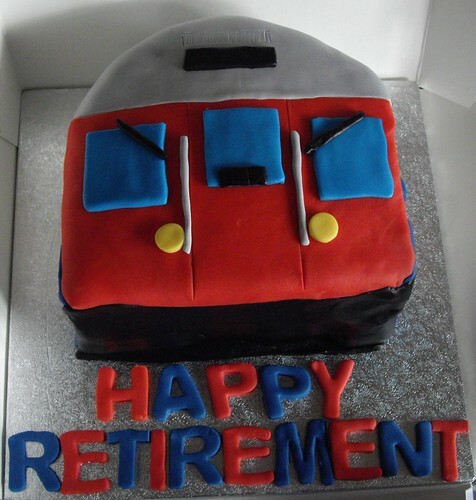 The cake was a surprise for him, and obviously it couldn't have been anything else but a Tube train! 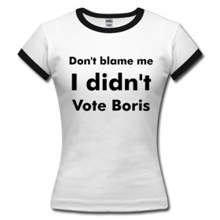 I even researched (as much as I could) the front design of the District line trains to make it accurate for him." I bet he loved it! Thanks to Emma for letting me share the pictures and story with you.